The Netgear AC3200 and the Netgear AC3000 are both tri-band routers that will help you to get a better WiFi signal in your home or small office. Both models have similar features and are from the same brand, so which one is better? We have compiled a list of the main features of both the Netgear AC3200 and the Netgear AC3000 to see which router we think comes out on top. 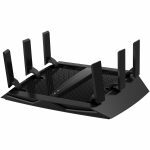 The Netgear AC3200 is a tri-band router that can give you speeds of up to 600 Mbps at 2.4 GHz and up to 1,300 Mbps on the dual 5 GHz bands. The Netgear AC3000 is also tri-band and can give you speeds of up to 450 Mbps at 2.4 GHz and up to 1,300 Mbps over the dual 5GHz bands. Both routers have a 1 GHz dual core processor so they will be able to handle large amounts of data from multiple devices, giving you faster transfer speeds. Both the Netgear AC3200 and the AC3000 benefit from having Smart Connect technology which means each of your devices will be allocated the best possible connection on the most appropriate band for your device. Both models feature a WPS button that allows for easier and quicker connections to compatible devices. The Netgear AC3200 and the AC3000 both feature Dynamic QoS technology that automatically prioritizes specific devices or activities based on the bandwidth or speeds required, such as gaming or streaming HD content. Both the Netgear AC3200 and the Netgear AC3000 can be managed via an app on your phone, where you can see what devices are connected and stay in control of your security and network settings. Both routers will allow you to set up parental controls so you set time limitations and restrict access to particular sites or content. With each router you can set up individual user accounts, making it easier to tailor settings to each user on your network. Netgear has downloadable support software for both routers that will let you keep your network secure and protected from malicious content. The Netgear AC3200 and the AC3000 both have six external antennas that help to boost the signal across your home, letting you adjust their directions. Each of the routers benefits from Beamforming technology that amplifies the WiFi signal and helps to direct the signal to specific devices instead of into a particular area. The Netgear AC3200 has both a USB 2.0 port and a USB 3.0 port compared to the AC3000 which only has a singular USB 3.0 port. Both routers each have 4 gigabit LAN ethernet ports as well as a WAN port. After looking at both the Netgear AC3200 and the Netgear AC3000 we think the better router is the Netgear AC3200. 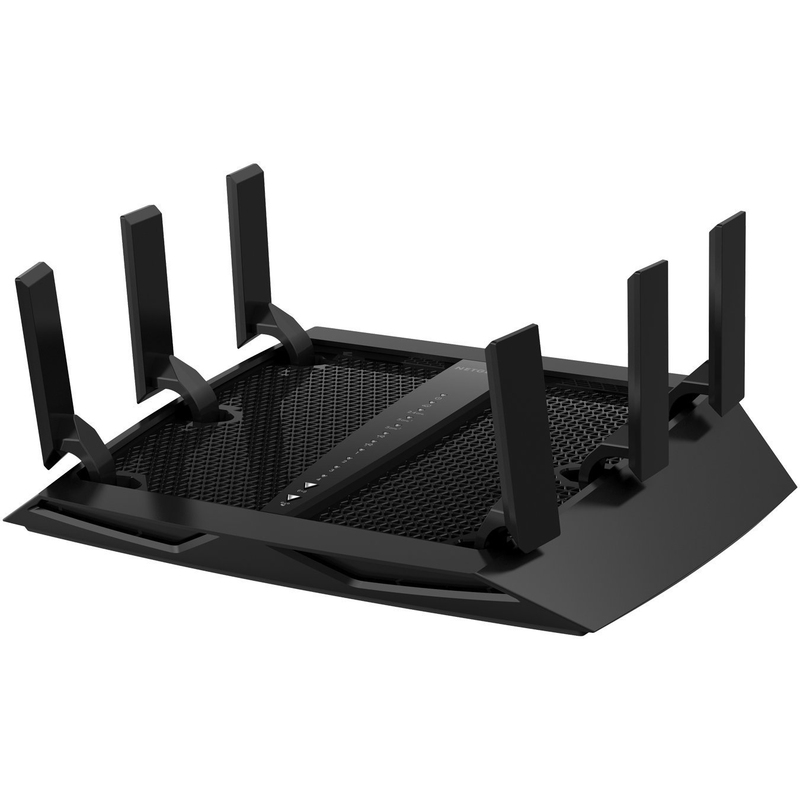 While both routers are tri-band and have the same 1 GHz processor, the Netgear AC3200 can offer faster connection speeds over both its 2.4 GHz and 5 GHz bands. The Netgear AC3200 also benefits from the additional USB port, allowing more devices to be connected at the same time.